Our Drone Nest project has reached a critical milestone with the first live demonstration taking place on the 25th of September. 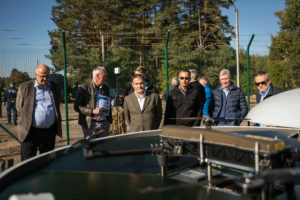 We were happy to show the capabilities of the Drone Nest to a high level FRONTEX (European Border and Coast Guard Agency) delegation who are charged with safeguarding European borders. 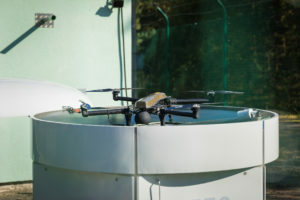 The innovative technology was well received and the live demonstration clearly showed the future potential of remote drone operations in boarder protection scenarios. 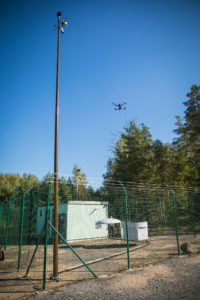 The live demonstration was carried out with close cooperation with the Estonian Police and Border guard. 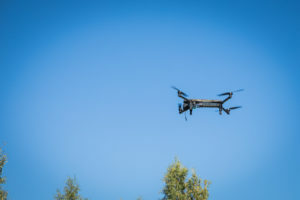 According to the scenario an illegal border crossing was detected and a Drone Nest was tasked with launching a ELIX-XL drone to intercept and gather visual information on the target before a fast response team of the Police and Border Guard arrived in the area. 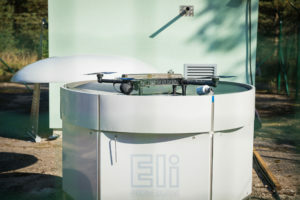 All command to the Drone Nest and the airborne drone were given remotely from a command and control center.